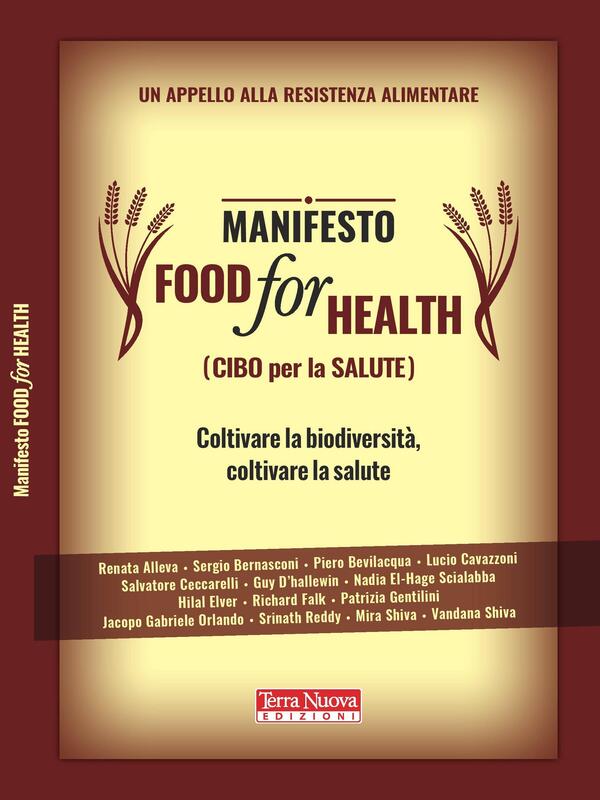 The Food for Health Manifesto, edited by Navdanya International, aims to give voice, hope and future to all those who wish to commit themselves to the actions and ways of consumption towards a sustainable paradigm. What’s more, this Manifesto is a tool for immediate mobilization to claim a transition to local, ecological and diversified food systems. For a near future of which we can already lay the foundations today. Renata Alleva, Sergio Bernasconi, Piero Bevilacqua, Lucio Cavazzoni, Salvatore Ceccarelli, Guy D’Hallewin, Nadia El-Hage Scialabba, Hilal Elver, Richard Falk, Patrizia Gentilini, Jacopo Gabriele Orlando, Srinath Reddy, Mira Shiva, Vandana Shiva.